The historic 4 Latidos Tour sees the iconic Latin pop duos share a stage for the first time ever! Why See Camila and Sin Bandera? 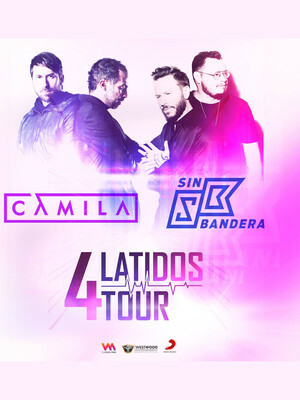 For the first time ever in the proud history of latin pop, Mexican pop rock duos Camila and Sin Bandera will take the stage together on their co-headline joint jaunt the '4 Latidos Tour'. Whilst the bands have collaborated many times over the course of their much celebrated careers, the tour will solidify their musical friendship over the course of six historic nights at venues around North America. Pack some tissues, because there won't be a dry eye in the house after these seasoned balladeers pluck on the audience's heart strings with their latin-infused romance. Formed in 2006, Camila cultivated a stellar career with sharply-written rock-leaning power anthems that have made them nothing short of a phenomenon in their home country. Their international, major-label success is mirrored by Sin Bandera, who formed in 2002 and forged their own place amongst Mexico's modern music legends thanks to a gift for writing melodic, soulful Latin pop. 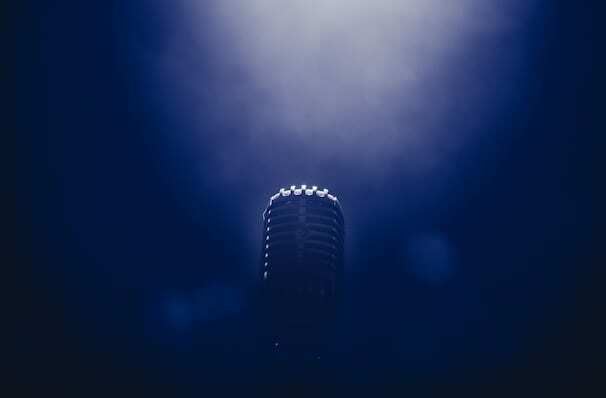 For nearly two decades, the Latin Grammy, Grammy and Billboard Award winning musicians have honed their craft, transforming into consummate showmen that know a thing or two about pulling off a satisfying, soul-stirring show you won't want to miss. Sound good to you? Share this page on social media and let your friends know about Camila and Sin Bandera at Pechanga Arena. Please note: The term Pechanga Arena and/or Camila and Sin Bandera as well as all associated graphics, logos, and/or other trademarks, tradenames or copyrights are the property of the Pechanga Arena and/or Camila and Sin Bandera and are used herein for factual descriptive purposes only. We are in no way associated with or authorized by the Pechanga Arena and/or Camila and Sin Bandera and neither that entity nor any of its affiliates have licensed or endorsed us to sell tickets, goods and or services in conjunction with their events.